"We had contacted Stuart before we visited the Las Vegas area. He sent us various listings that were available and we choose the ones we wanted to see when we came to Las Vegas. He took us to see those and we didn't like them. He said to us after a couple 1/2 days with us, "Now let me show you my list of what I think you would like". He was right! He took us to Henderson, knowing we wanted a city feeling and he took us to a new development being built. We bought our house! Since that time he has still been very helpful. He is still in touch with us to make sure things are going well. Stuart is very personable. He is very knowledgeable about real estate and the area. He is great at "sizing up" his client's, being able to assess what they want. We HIGHLY recommend Stuart for your real estate!!" "We have used Stuart for numerous real estate transactions. His excellent knowledge of the market and the areas helped us find exactly what we were looking for. He is a true professional and is very diligent in the search for what we wanted. Just when we would feel that we wanted to change something in our search criteria and modify our search, he would simultaneously be emailing those options without us even having to tell him. We will definitely be recommending him. His knowledge and relationships make him the best in the area!" 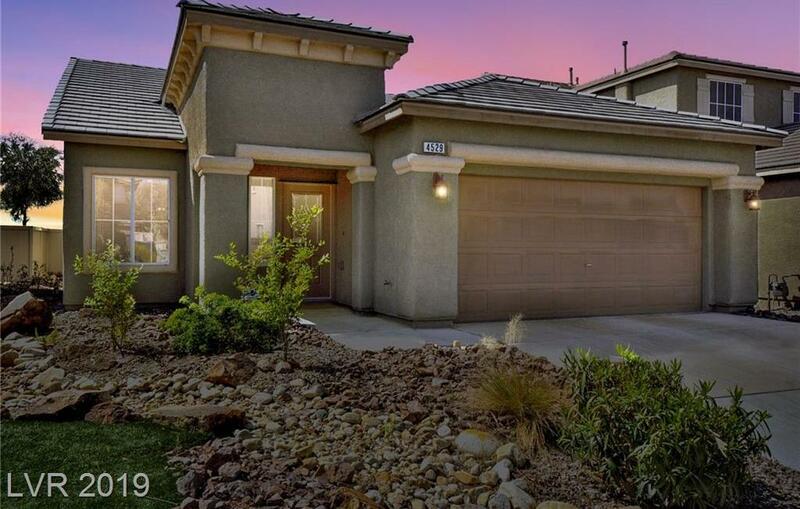 "Bought a Single Family home in 2015 for approximately $600K in MacDonald Ranch, Henderson, NV. Stuart worked with us for over one year to find a property right for us. The reason for the extreme time delay was we were relocating from North Carolina to be closer to family here in Nevada. We needed to sell our home in North Carolina before we would feel comfortable looking for a place in Nevada. We met Stuart early in the process, described what we were looking for and Stuart kept us in touch with the local market through emails and phone calls. When we finally sold our house in North Carolina, we started looking hard in this area and Stuart gave us great advice on different properties and locations. As he learned more about the specifics we were looking for, he was able to modify his searches to meet those requirements. Each showing trip was improved from the last. Stuart helped us negotiate a fair price and we are very happy with the property we selected. We strongly recommend Stuart and have already recommended him to friends and family who are interested in this area." "Sold a Townhouse home in 2015 in Spring Valley, Las Vegas, NV. From the very beginning of our process to sell our home to the very end we were extremely satisfied with Stuarts knowledge, attentiveness, zeal, and determination, to the sell of our home. He came highly recommended from our neighbor who's house he sold in a record time. The first time we sat down with him he made us feel comfortable and gave a detailed and thorough presentation of his work and and the work he would do to sell our home. He was always available to answer all of our questions (and we had a lot, first time sellers) and responded promptly. Stuart made us feel like he was on our team, and the goal of the team was to get the best price for our home in the quickest time possible. We had multiple offers come through in the first and and second week and settled for one we felt comfortable with in the third week. My wife and i would highly recommend Stuart Sheinfeld and look forward to working with him again"
"Regarding your survey where 10 is your highest score, I just can't settle for a 10. I must give Easy Street Realty a 10+++++++++!!!!!! Stuart is fantastic and has always gone beyond the call of duty and Barb and I sincerely appreciate him and what he has done for us. Likewise, your e-mails of recommendations, etc. have been excellent and beneficial - thank you!Please feel free to contact us for any future need of recommendation." "Sold a Townhouse home in 2016 for approximately $150K in Whitney, Henderson, NV. Stuart is the best. He went the extra mile and exceeded our expectations. From initial consultation to final sale, Stuart did an outstanding job on the sale of our house. The professional photos and marketing plan sold my house quick. To top it off, he has extensive contacts. Need carpets cleaned, the paint updated, a handyman? Stuart knows the right person to assist. He made the process seamless and smooth. It was a pleasure to work with Stuart. He is very knowledgeable, professional and dedicated. I would highly recommend Stuart to anyone who is in the market to buy or sell and looking for top notch service!" "08/18/2015 - Karole Bought a Single Family home in 2015 for approximately $200K in North Las Vegas, NV. Stuart Sheinfeld is the most dedicated and honest realtor to work with. He went the extra mile for my husband and I with selling our home and buying our new home. He was always in constant communication with all parties involved so we always knew the status of our homes at all times. I would recommend him as a realtor to anyone who was looking to sell their home or buy a new home. He made the process of selling and buying a very smooth transition which we appreciated very much." "Stuart impressed us with his professionalism and expertise with the sale of our home. He was diligent and communicative throughout the whole process. He produced the outcome we required within the timeframe we requested. We would highly recommend Stuart to sell your home"
"I wanted to purchase a home out of state in Nevada. I found Stuart listed under his real estate agency on the Internet. Actually, I was referred to him by a colleague who was leaving this agency. One of the luckiest days of my life. Stuart is available 24-7...no kidding. He promptly answers emails and text messages. I flew out to Nevada so he could show me a home I knew I would love. He picked me up from the airport, took me to the home, and explained all the homes operations and recommendations. He treated me as a family member and guided me through every step of a home purchase. It was not stressful at all...even across the country! Stuart was right around the corner whenever I had a question or a concern. He is enthusiastic and professional in his practice and has a wonderful personality. I highly recommend Stuart to anyone who is interested in purchasing real estate." "He was upfront and trustworthy. Listened to what we wanted and needed. He even went way way above and beyond and took in our cats for a few days when we were not able to get into our new house as planned after a cross country move from Texas. Can not say enough wonderful things about Stuart Sheinfeld." "Stuart is a 10 all the way! We will recommend him to all our family and friends! This is our 2nd home with Stuart! We love him!" "We contacted several agents from Zillow searches, and found that most realtors responded slowly, if at all to our inquiries. Stuart called the same day we contacted him, and followed up very closely. We were moving from the East Coast, and had limited time to fly out to find a home. Stuart became familiar with our preferences based on our Zillow searches, and spent three days finding a perfect home, and helped us complete the purchase from 2200 miles away. After our offer was in, other agents periodically called, so we let them know that Stuart had helped us complete the search and negotiate a fair deal! Personable, interested, and hard working agent!" "Could not have asked for a better agent. Knowledge, availability, researching homes and areas for us as we were buying out of state, professionalism, follow through. Have worked with many "professionals", Stuart truly deserves the word professional and all 5 stars we have given him. Highly recommend if looking for real estate." "I was an out of town buyer. When I met with Stuart to tour homes, he quickly saw what I liked and didn't like and was able to show me only houses that would really appeal to me. We ended up buying a house on our first visit out! During the walk through he was extremely detail orientented and spotted many things that I didn't catch, and I am picky. I also need an inspector to meet very strict builder qualifications, and Stuart found and excellent one for me. From start to finish, my experience with Stuart was excellent and I would highly recommend him as well as use him again"
"10/01/2015 - dheckman409334 Sold a Townhouse home in 2015 for approximately $225K in Spring Valley, Las Vegas, NV. Stuart was easily the best Realtor that we have worked with. That is not a small feat since we have purchased 6 homes so far. Stuart is very conscientious and keep the lines of communications open. He worked with us on the marketing plan, the feedback from the potential buyers and shepherded the deal to a successful close." "08/07/2015 - Gabregojr73 Bought a home in 2015 in Henderson, NV. Amazing! From the get go Stuart put us at ease throughout the experience of 1st time home buying. His informative knowledge about the area were impeccable. Stuart prides himself on excellent communication and it definitely shows. Effectively used his awesome active listening skills and delivered everything on our wish list & now we are happy 1st time home owners! Thanks again! " "Stuart was recommended to us by our daughter and now son-in-law who have just bought a home from Stuart! We lived in Wyoming and had to buy a home sight unseen with just Stuart's recommendations and our daughter and her then fiancé along. Stuart send many, many pics of homes so we would have good choices. Any time we called, he picked right up, or called right back! We felt very comfortable with our choice and are super happy with our new home. Stuart kept us in the loop every turn along the way so we knew what was happening as we were making the move from Wyoming. He is an awesome real estate agent-we would definitely recommend buying your next home from Stuart!" "Stuart Sheinfeld is one of the best professionals that my wife and I have ever met or worked with. We bought a house with his help. Also,If you have absolutely anything to do with real estate in Las Vegas area, you deserve a call to Stuart. Stop reading any further and get in touch with him. You will be astounded with his service. Guaranteed. We set exactly 5 weeks of time window from meeting Stuart for the first time to moving in to our new place, having just a rough idea about what we wanted. We had recently moved to Las Vegas, and did not have much idea of what was waiting for us in the whole process. We just knew that we would buy a place and move in within the set time. Stuart guided us in choosing the right place, the right configuration, arranging for all the associated services like Lender, Inspector, even restaurant options! (He is quite the avid foodie) He held our hand in the whole process. That service would have received 5 stars, if not more. But the point of writing this review is also about the experience of working with him in the process. He is thoroughly professional, friendly, confident, knowledgeable, and resourceful. He will make sure to know your exact preferences, give you plenty of options, will meet you at the right place at the right time, will answer all the questions you possibly have, with the right amount of suggestions without ever being pushy. Weekdays or weekend, no matter what time of the day, you will get to hear back from him whenever you want. Thanks to Stuart, everything closed on time. I can’t recommend him enough." "Having known and worked with many agents; Stuart is our agent of choice. He has represented us as both buyer and seller. In every case he is dedicated to his customers satisfaction. I do not hesitate to give Stuart my highest recommendation." "Dear Stu, Thank you for your help finding my condo. Your insight into the Las Vegas real estate market was extremely helpful, and it allowed me to be really happy with my choice of condo. I appreciate the amount of time you spent with me to ensure my comfort with the area of the condo. Again, thanks for your time, concern, and knowledge. Sincerely, Jason P "
""As a first time home buyer, I appreciated Mr. Shienfeld's diligence in regards to sending me multiple listings that met my specifications. He even went out of his way to suggest residences that I did not have in mind, which led me to my current home! He was always available to guide me through the purchasing process and even attended the first dinner I held in my home! I was extremely pleased with my experience."" "Las Vegas Real Estate Rockstar!! I have bought and sold homes many times in the past and few agents in the real estate industry can hold a candle to Stuart Sheinfeld. Stuart was very professional and very knowledgeable about the current real estate market. Stuart is always accessible, and committed to my best interests. I highly recommend this hardworking, trustworthy, and ethical realtor. I look forward to working with him when I am ready to purchase my next home. " "My husband and I just moved into our new home Stuart was great and worked with us for the past year. We moved out here a year ago from Wyoming and he helped us pick the perfect area and home. He was always on it any time we wanted to tour a home. He knew exactly what we were looking for. I would highly recommend buying your home from him. " "I really appreciated the timeliness of the sale of my home. Stuart guided me on the appropriate time to put my house on the market and we were in escrow in 10 ten days. It was quick and some what easy with the help of his knowledge and persistence." "Very good listener. Stuart fulfilled my needs and wants. Successful offer on the first day. Even though I made him take me to 9 houses> Highly recommend for excellent service!" "We could not have be happier with Stuart as our realtor. We were in the process of buying a house for my mother. She can be very picky with every little detail of the house. Stuart listened to exactly what she wanted and he showed us a handful of all that were all beautiful. Ultimately she decided on the perfect home in the perfect neighborhood. He helped us negotiate a better price for the home and a brand new garage door opener. He made sure everything was perfect for us. If you are looking for a realtor that listens, is patient, knows the Vegas market and is a pit bull negotiator, give Stuart Sheinfeld a call. To top it all off he came by to check in on us after me moved in and brought us a home made cake"
"Stuart has been my real estate agent for the purchase of two houses is Vegas. His knowledge of the market is vast and very informative. His customer service is second to none. Even when he was not feeling well my time was short and I had to act quickly he was there through thick and thin." "Stuart is an amazing realtor, was in constant contact with me letting me know the status of our sale and purchase. Stuart is very aware of the market here and can give honest and accurate advice. He was able to find us what we were looking for and advocate for our needs. I would recommend him to anyone in this area looking to sell or purchase a home, he will make it happen!" "Stuart was awesome he helped us find our first home! He was always reachable and flexible. Which is what we needed my fiance and I have different work schedules, so we could only set time and dates. He was very knowledgeable about the homes he showed. He made it possible for us to get a house before our apartment lease was up. If you need a house this is the Realtor to call! " "From beginning to end Stuart was a professional and extremely helpful. I was impressed at his organizational skills. After I gave him multiple listings I wanted to view he mapped out our journey viewing homes flawlessly and time efficient. This was my first time purchasing a home and Stuart was always available and informative! I would recommend Stuart to anyone needing to buy their home. Can't stress enough how good of experience we had working with him." "Mr. Sheinfeld was very professional, he listened to what we had to say and acted upon it, which is why we got the exact home we wanted, also he helped keep the deal together in face if it wasn't for Stuart I am not sure it the deal would have closed"